Fraternity sexual assault and criminal activities: States should use gang laws to seize their assets. States should treat rogue fraternities as criminal organizations and seize their assets. Rogue fraternity chapters could easily meet the criteria for a street gang. While the problem of campus sexual assault is complex, one thing is clear: Some fraternity chapters—call them rogue chapters—are operating so far outside the boundaries of acceptable behavior that they pose an active threat to university communities. They control spaces that students warn their friends not visit alone on a Friday night. They are repeat offenders that foster a culture of permissiveness toward sexual violence. Law enforcement officials have an unutilized tool at their disposal to combat rogue fraternities: They can treat these organizations as criminal street gangs under state law and seize their assets. With respect to the first element, it’s abundantly clear to even a casual observer of Greek life that one of the primary activities of many fraternities is illegally supplying alcohol to minors. I live on the University of Virginia grounds, and each weekend I can watch from my front porch as the waves of humanity roll down from the first-year dorms and crash on Frat Row—rather than bars, where a state crackdown has made it harder for underage students to pass off their fake IDs. The outsize role fraternities play in the social life of universities is staked, in part, on their ability to provide social spaces that enable underage drinking far from the scrutiny of university administrators or law enforcement. Rogue chapters use their control over provision of alcohol to minors as leverage, enabling members to prey on vulnerable young women. The second element, identifiable signs or symbols, is easily satisfied. Not only do fraternities have clearly identifiable names, but college campuses are blanketed by sweatshirts and ball caps emblazoned with distinctive Greek letters that pick out members of different fraternities as surely as gang colors. Members of Greek organizations sometimes even display hand signals that the uninitiated can confuse for gang signs (especially when the appearance of the person signing better fits their preconceived image of a gang member). A fraternity chapter whose members have engaged in multiple acts of sexual assault would also satisfy the final criterion, criminal acts of violence. In the 1980s and ’90s, states faced a rising tide of gang violence. Anti-gang statutes were implemented to give law enforcement officials tools to deal with groups where criminal prosecutions were hindered by entrenched cultures of silence and witness intimidation. Prosecutions of sexual assaults committed by members of rogue fraternities face similar challenges. Bonds of personal and institutional loyalty discourage cooperation or reporting by members of the fraternity, and the uniquely stigmatizing character of sexual violence discourages victims from pressing charges. 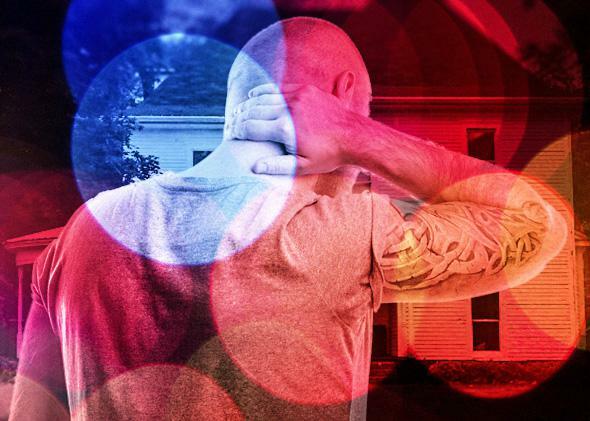 If a fraternity satisfies the definition of a criminal street gang, the state of Virginia can seize any real property used in substantial connection with its criminal acts or recruitment activities. Fraternity houses serve an important role in the criminal activities of rogue fraternity chapters. They insulate the chapter from supervision and oversight. They function as the venue for flagrantly flouting state laws relating to underage drinking, supplying alcohol to minors, and, in the context of rushing and pledging, hazing and recruitment. They also serve as vehicles for systematically subjecting women to sexual assault. The state has a powerful tool to disrupt the activities of groups whose egregious misconduct makes them closer in spirit to organized criminal enterprises than student clubs. It can take their fraternity houses. Asset forfeiture has certain advantages relative to criminal prosecutions. First, an action of this kind highlights the dimension of collective responsibility involved in an organization where the culture has become pervasively toxic. Criminal prosecutions on their own can allow the group to cast the accused as isolated bad apples. Seizing a fraternity’s house emphasizes the institutional character of the problem. Moreover, as a civil action, the commonwealth would only need to prove its case by preponderance of the evidence—a “more likely than not” standard. By contrast, criminal prosecution is held to the higher “beyond reasonable doubt” standard. Last, seizing the house also immediately benefits the community by removing the danger posed by a rogue fraternity chapter’s activities from the college’s social universe. It’s worth noting that Virginia law recognizes the broad community interest in stopping houses from being used for gang activities. Any “responsible citizen” of the state can file suit to declare a house used for such activities a nuisance and force its closure. A responsible state would take on the job itself.